When I started considering adopting for the first time, about six years ago, I didn’t fully know what I was getting into. Like when having a biological child, adoption is a road you discover step by step. You can read many books and blogs, speak with doctors and psychologists, talk with friends and family, but the real deal only comes with the actual experience of adopting. And since each human being is different, each family is different, no experience is the same. One starts with hopes and dreams but sooner or later you discover the dark side of adoption, the sad stories, the pain and loss, and many times the lies, the corruption, the human misery. Of the many children adopted internationally every year all over the world, some of them will end up in the wrong hands or even tragically. But it is our moral obligation to open our eyes and see the whole truth to avoid making the same mistakes over and over again and damaging more human lives. 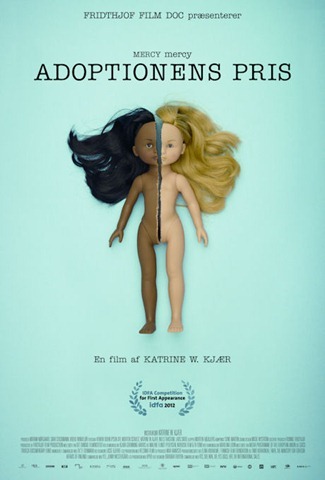 I’ve watched recently the documentary “Mercy Mercy - A Portrait of a True Adoption” (“Mercy Mercy - Adoptionens pris” is the original title) by Danish filmmaker Katrine W. Kjær that documents the adoption of two Ethiopian children over a period of five years. You can’t watch it and not be moved by the story of Mosho, and how badly handled was her adoption. I don’t speak Danish, however I understood her suffering and the suffering of her biological parents. I don’t want to judge hardly her adoptive family, but I’m still unable to understand what they did. Having three adopted children myself, I know how hard adoptions can be but I would never surrender any of my kids, adopted or biological. The story of these children goes like this: A couple in Ethiopia is told by doctors that they have AIDS and that they won’t live more than two years. To secure a future for their younger children, they decide to put them up for adoption before any of them dies. The children are adopted by a couple in Denmark and taken away from Ethiopia. Due to several misunderstandings, the Ethiopian mother and father think they will keep in contact with their children, but the adoptive family thinks it will be a closed adoption and breaks ties with the biological family. Of the two children adopted, the older girl has problems adjusting to the new family and suffers terribly. The new parents feel overwhelmed and since they lack experience to deal with the situation, the seek help with adoption professionals. But every thing goes wrong, and instead of helping the child, who should be their main concern, she is finally removed from the family and enters the foster care system of Denmark, enduring a second abandonment in her life and probably suffering irreversible damages. In Ethiopia, the biological parents instead of their predicted death are alive and well, but completely heart broken. 3 users commented in " High Price "
The link to youtube is broken for the film itself, but others are easily found as of 21.12.2012 on the internet by searching for “adoptionens pris”.